Is it the Americanisation of New Zealand, the way new vehicle buyers here are more and more choosing pick-up trucks as daily transport? Even all-American Fords, GMCs and Rams, new and used, some left-hookers, some converted. Take a look at the year-on-year registration numbers from the Motor Industry Association (MIA). 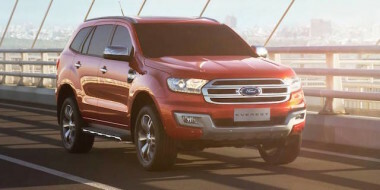 At the end of August last year, the two most popular new vehicles in NZ were the Ford Ranger (above) and Toyota Hilux. 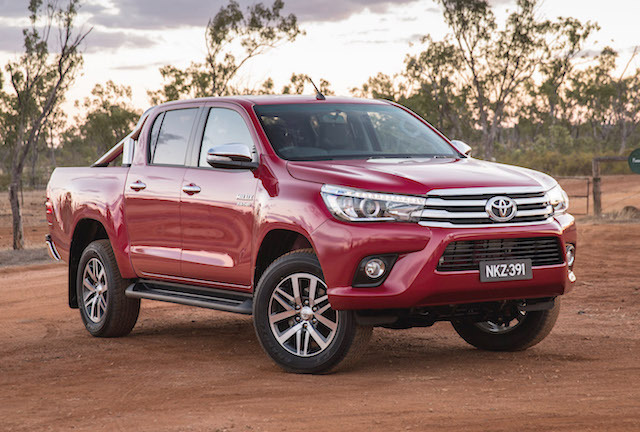 Ranger had clocked up 4228 registrations, Hilux 3572. At the end of August this year, the one-two position hadn’t changed. MIA figures showed 5646 Rangers and 4235 Hiluxes. In eight months year on year, that’s a 33.5 per cent hike for Ford and 18.5 per cent for Toyota. An average of 705 Rangers and 529 Hiluxes a month. But the buyers are not all builders, plumbers, contractors, or farmers. Some fall into the same category as the advertising executive in New York who drives a Ford F150 pick-up in grid-locked daily traffic. He doesn’t need it, never carries anything heavier or bulkier on the rear bed than a pushbike or two, but tells an advertising industry publication that he likes the free-wheeling, all-American image it projects. 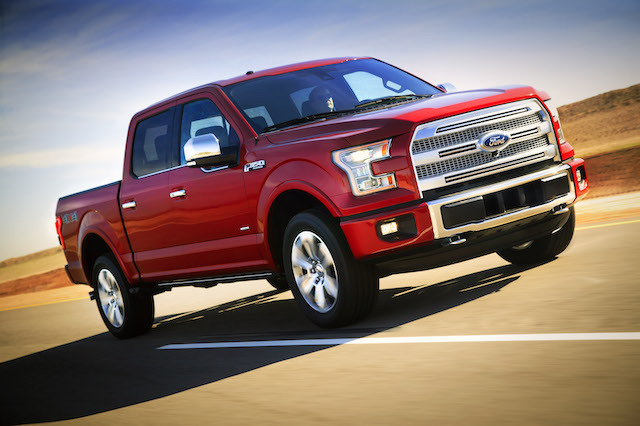 Must be something in that because Ford sold 780,000 F-series trucks in the US last year, making the badge the best selling vehicle in the US for 34 straight years and the best selling pick-up for 39 straight years. Ford NZ managing director Simon Rutherford observes an all-American element in the trend towards pick-ups here and acknowledges the US cultural influences. “But I think it’s more about choosing vehicles that support your lifestyle,” he said. The Ranger was No. 1 again last month, contributing 721 units to the overall new vehicle 12,677 registrations, made up of 3781 commercials and 8896 passenger cars. The next best seller was the Toyota Corolla, with 535 registrations, followed by the Hilux (486) and Kia Sportage (295). 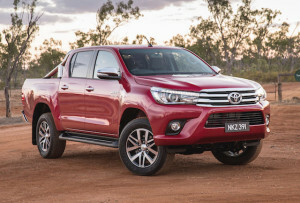 Toyota was the overall market leader for the month of August with 18 per cent market share (2281 units), with Ford second on 12 per cent (1463) and Holden third with 8 per cent (1051). New vehicle registrations at the end of August were up 7.0 per cent up on the same eight-month period last year. Back then, 87,105 were on MIA books – this year it’s 93,266, an average of 11,658 registrations a month. At that rate, new vehicles this year could knock on the door of 140,000 units, an all-time record. The top 10 new vehicles in NZ at the end of August were made up of five utes, three SUVs, one van, one car: Ranger 5646; Hilux 4235; Corolla 3099; Holden Colorado 2339; Toyota RAV4 2230; Mitsubishi Triton 2118; Kia Sportage 2038; Nissan Navara 2035; Mazda CX-5 1895; Toyota HiAce 1736. 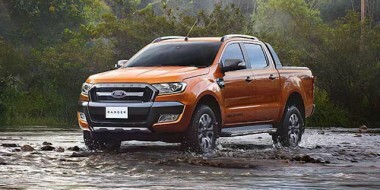 What’s this, a Ford Ranger Raptor for Downunder market? 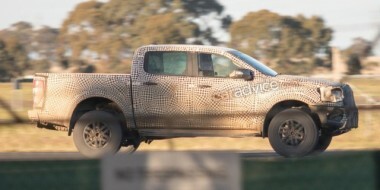 Sep 14 | Nissan Navara-based SUV takes shape – but will it make it to NZ?